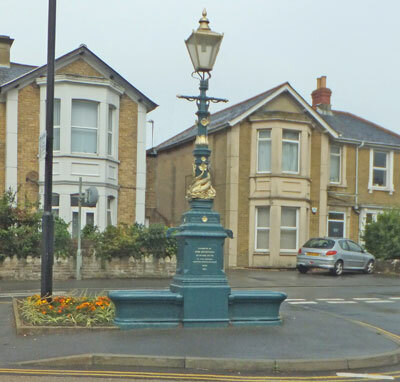 Situated on the traffic island at the junction of Swanmore Road and West Street a curved cast iron horse troughs with a lamp standard between. Inscribed 'Presented by Miss Brigstocke of Stone Pitts. To the Borough. Alderman Edward Marvin J.P., Mayor, 1898'.